A retired person visa for South Africa is a temporary visa which allows you to stay in South Africa for up to 4 years. Those who do not meet permanent residency criteria under the Retired permit or Financially Independent permit. Can a retired visa be renewed? Yes it can. Please be aware though that although referred to as a renewal it is not what you would call a renewal in the strictest sense of the word. At least 60 days prior to the expiry if the retired persons visa (4 years) an application must be made once more for a retired visa. This application is a full application and the relevant current regulations and criteria will need to be fulfilled. Does the criteria for a retired persons visa change? Yes it does and often with no notice period. The most recent change saw the financial criteria change from ZAR 20,000 per month to ZAR 37,000 per month. Where eligible, applicants are encouraged to apply for a retired permit (permanent residency) at the same time as their retired person visa to ensure they are able to stay in South Africa longer term. To retain permanent residency you need only visit South Africa once every 3 years. What is the ZAR 37,000 income required? 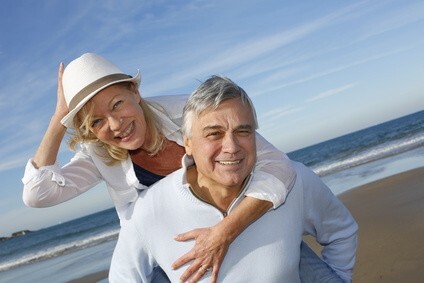 The retired person visa criteria focuses on the applicants ability to support themselves and anyone accompanying them. The ZAR 37,000 must therefore be of a guaranteed nature, such as a pension. What if you cant meet the income criteria? As the retired person visa is a temporary visa it does allow for a cash equivalent instead of the ZAR 37,000 monthly income. This means a 4 year visa application would require prove of ZAR 1,776,000, being 48 (months) x ZAR 37,000. Those who wish to stay in South Africa for a longer period and that cannot meet the financial criteria should rather look to apply for a Financially Independent permit. Can my spouse / partner accompany me? Yes they can and there is no requirement for them to also demonstrate the ZAR37,000 monthly income amount. Dependant children of a school age would need to obtain a study permit. Where do you apply for retired persons visa? Applications must be made in your home country. You may not travel to South Africa and submit a visa application here that involves a change of status. Typically between 4 – 12 weeks depending on the efficiency of the local South African mission. Of course all immigration consultants will boast of their track record and knowledge. but few match our credentials. We operate from Cape Town and Johannesburg and have submitted visa applications in over 30 countries around the world. We don’t just talk about our processes, service levels and client focus we also prove it by being the only South African immigration company to have been accredited with ISO 9001.